The Chinese technology company Huawei created a smartphone that, according to the company, would be better than Nintendo Switch. Huawei Mate 20 X is a brand new phone designed to tap into the same market as the Nintendo console. 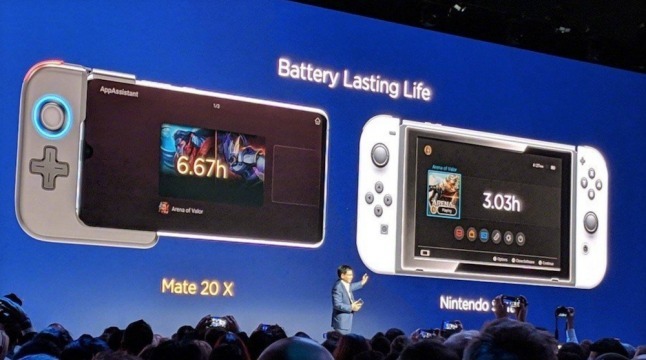 This is a remarkable development since Switch did not have real direct competitors, and many see it as a unique proposal thanks to its double capacity of portable and fixed console. The company claims that Mate 20 X is better equipped for games thanks to its OLED screen from 7,2 inches and a 5000mAh battery that can support up to about 6,7 hours of play. Huawei called the Mate 20 X "the best portable gaming machine". One of the biggest differences certainly lies in the price. The 20 X Mate will be sold at about dollars 1000, about 3 times Switch. It also has no integrated controllers but sold separately, optional and there is no indication on what types of games will be present. In short, big words for a device that will hardly see software developed for him.